More and more successful people will tell you that they got where they are now because they made a lifestyle around positive thinking. A person that faces life with a positive attitude will always be more successful in life both professionally and personally, than a person that can not take control of his thoughts. 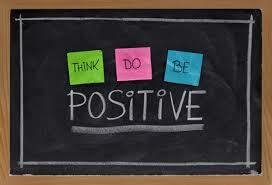 It is increasingly common to hear people say: “Think positive!” to a person wich is sad and worried. Unfortunately, many people do not take seriously this urge. 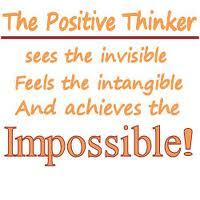 How many people do you know who sit and reflect on positive thinking and meaning of it? Changing everything you’ve learned in a life is not easy, imposing a positive thinking starting today thinking that that this will attract positive things in your life is not that simple. To change these negative patterns I recommend these exercises and practices. For me and the people I have chosen in my life works! 1. Use positive words when talking. If you constantly say “I can not” you could convince yourself that it’s true. Replace negative words with positive ones. Tell yourself that you do everything possible to have a happy relationship, tell yourself that you do everything possible to have a brilliant career, tell yourself that you do everything possible to keep you in shape. 2. Remove all the feelings that are not positive! 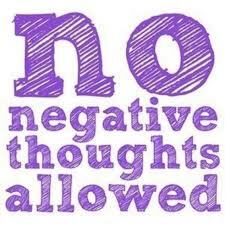 Do not let negative thoughts and feelings conquer when you have a bad mood. Even if for a few hours a day, remove negativity and focus on the positive things in your life. 3. Use words that evoke strength and success. Fill your thoughts with words that make you feel strong, happy, having control over your life. Make an effort to focus on these words rather than the ones that suggest failure or incompetence. 4. Practice positive affirmations. One of the most common exercises for a positive thinking is positive affirmation. What does that mean? Start repeating a positive phrase like “I deserve to be happy” or “I deserve to be loved.” Believing that these statements are true and repeating them always will impose a more positive opinion about your life. 5. Redirect your thoughts! This method used by psychotherapists helps you control your thoughts when you start to feel negative emotions like depression or anxiety. How can you do that? When you feel a such emotion taking hold on you start generating a happy mind, a positive image, something that makes you feel better to keep your negative feelings under control. 6. Start thinking you will succeed! Nothing compares with self confidence that creates a successful reality. Put your doubts aside and believe that you will succeed in meeting the objectives. 7. Analyze what went wrong. Positive thinking is not about denying that nothing can go wrong. Instead take the time to see what went wrong and what led to the current situation in order to avoid future mistakes and look forward more positive. 8. Forgive you! ‘re Always arguing for things that went wrong will not change anything. Tell yourself you are forgived and allow you to move on. 9. Think of a failure as an opportunity. Sometimes the most negative things in our lives give us opportunities that we may not have seen otherwise. For example losing your job can be a good opportunity to open your own business or go back to school! 10. Working at your imagination / visualization. Visualizing what you want to achieve or the person you want to be can be a great motivation to take you there and make you think more positively about the distance that you have untill the destination. I WSH EVRY1 WUD IMPLAY DAT IN THEIR EVRYDAY LIFE….WISE WORDS. of the more popular groups. Pingback: What Are The Roles Of Positive Thinking And Critical Thinking In Magic: The Gathering? by Graeme McIntyre - Mox. Heart is the master organ of the body. Read this ariticle. Gr8 Post…check out mine and give me your precious reaction to my newly borned Blog. Especially about “6 ways to Build Positiveness in your Life”. Its really helpful to come over from sadness and depression. I am really impressed of what i grasped, after I red about a book of positive thinking: by Norman Vincent. Because I am the part of the book in character, the contents in that book is my life aiming at. I absolutely agree with you. Having a positive attitude is always a choice… it takes time for a complete transformation, however, you may notice a change from the first day. Keeping a positive attitude also depends how much we keep ourselves from negative thinking. I believe blaming others or situations, and not taking responsibility is the biggest enemy of positive thinking. Nice Presentation! I liked it. Just realizing that your mind is thinking negative thought’s means you have already begun to de-fuse from those thought’s; separated yourself a little bit from them. Writing them down can separate you from them too – instead of letting negative thought’s swirl around in your mind, you can see your thought’s as just letters and words on paper. I really hope it will help you. Happy learning secrets of life! See success makes a MAN successful thoughts n behavier . N that behaving makes man good attitude. That attitude makes good interragrity n makes him responsibility n makes him enriching n successful. So be in successful shouts n attitude way makes man successful in life n brings nation many more people. N totally India can challenge other country n makes it self best. Best good works acted good n finally best of all …. So the result in yr hand catch it ….